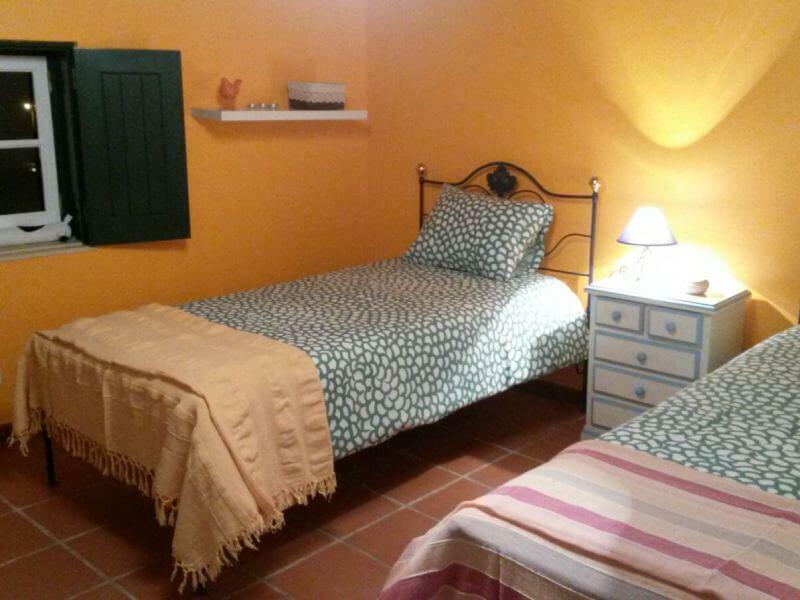 Right down the street from Quinta Laranja, lies this fully renovated, romantic village cottage. 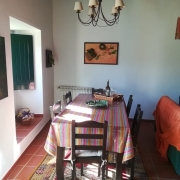 Casa da Aldeia is situated in the historical village of Almofala and is attached to another village house of Quinta Laranja, Casa da Barbearia. 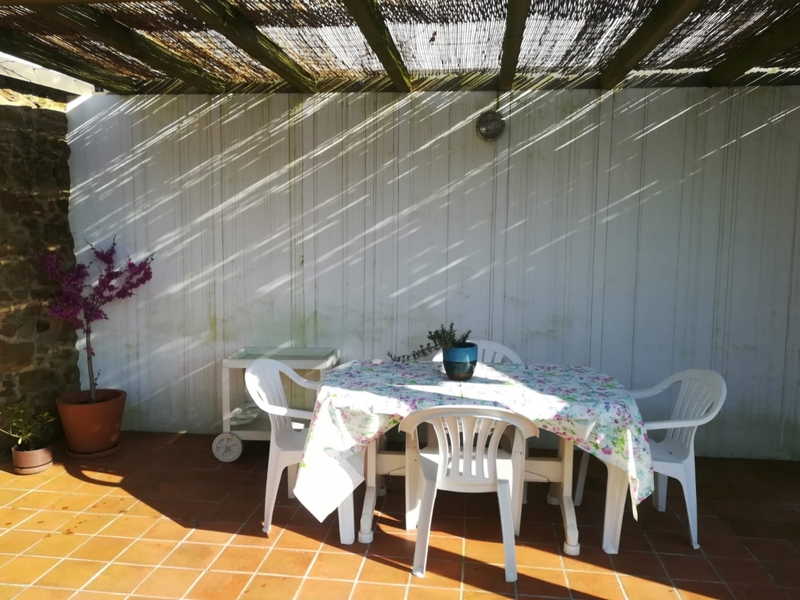 Here you can enjoy the charm, space and privacy of this semi detached cottage while at the same time enjoy all facilities, activities and information of Quinta Laranja right around the corner. 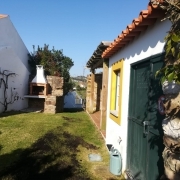 Welcome to 4+ village house “Casa da Aldeia”. 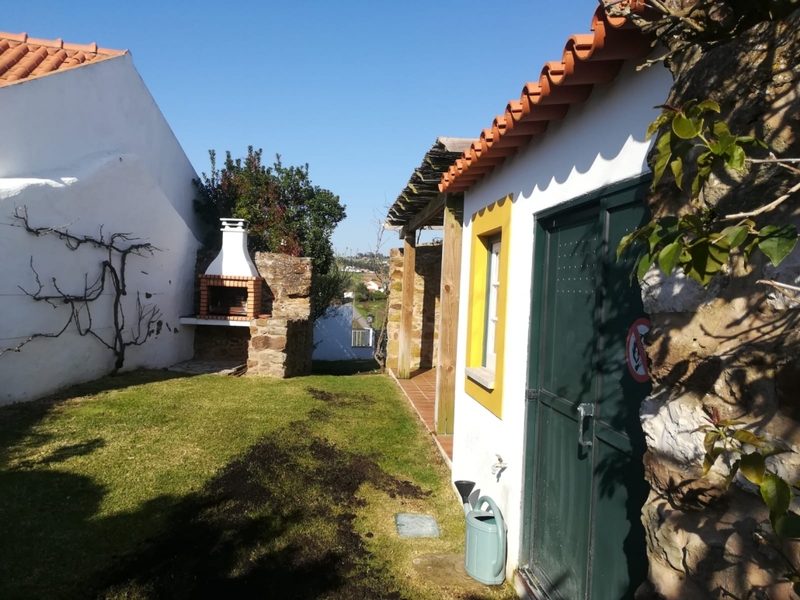 As mentioned, Casa da Aldeia borders our other village house Casa da Barbearia but all other sides are surrounded by a nice and spacious village garden with many authentic elements. It has terraces at the front garden, as well as at the side and in the back, alternated with natural stone walls, a lovely lawn and many flowering plants. 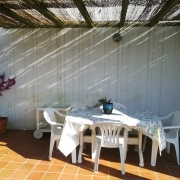 This garden has several terraces to enjoy either the sun or shade and there also is a barbeque available. The view from the garden and the windows is magnificent: a wide panoramic view of hills, forests and vineyards! 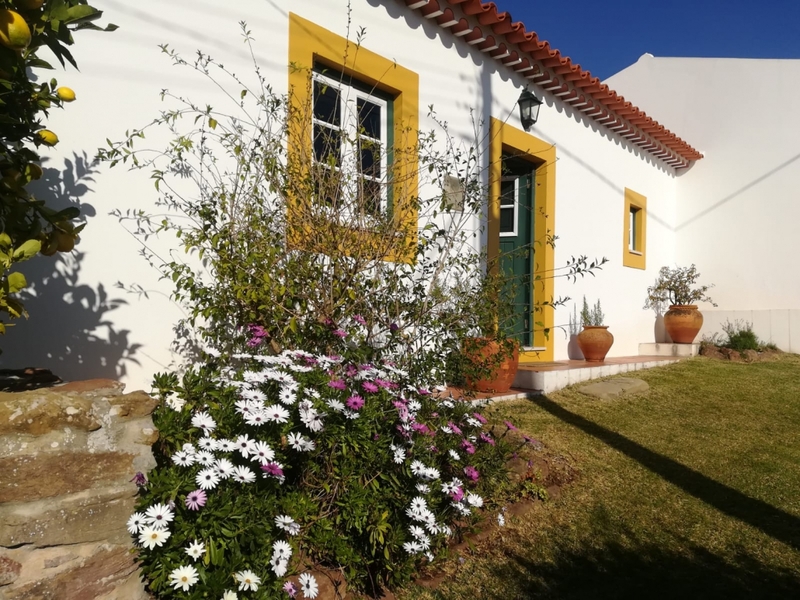 Just like our other village house, Casa da Aldeia is in close proximity to the collection of cottages of Quinta Laranja at about a three minute walk. There isn’t much traffic on this road (mainly a small farmers road). Young kids will need some assistance though to cross another road and access the other small road to our Quinta. 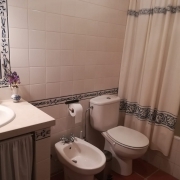 There is a common bathroom on the property of Quinta Laranja that you can use and where you can change clothes etc. There also is a Cantina where you can buy drinks. 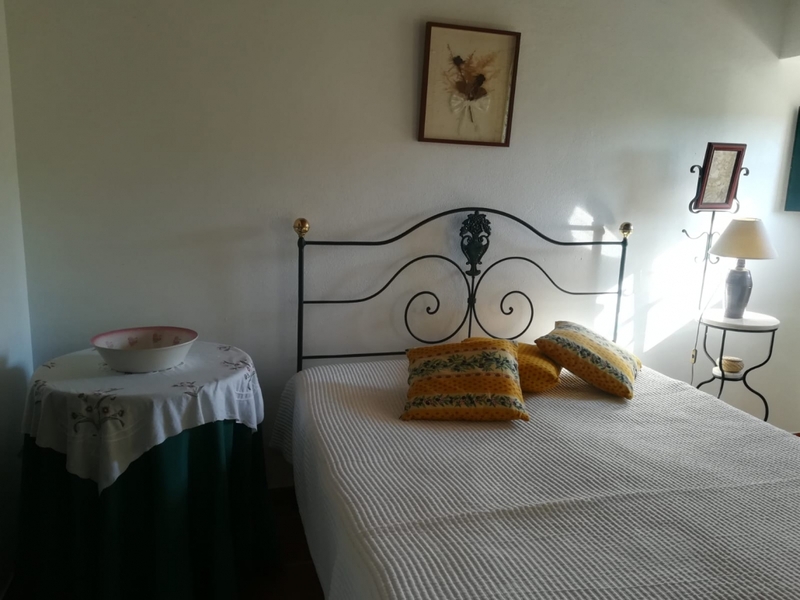 This way you can enjoy all facilities of Quinta Laranja as much and often as you like without having to walk up and down. 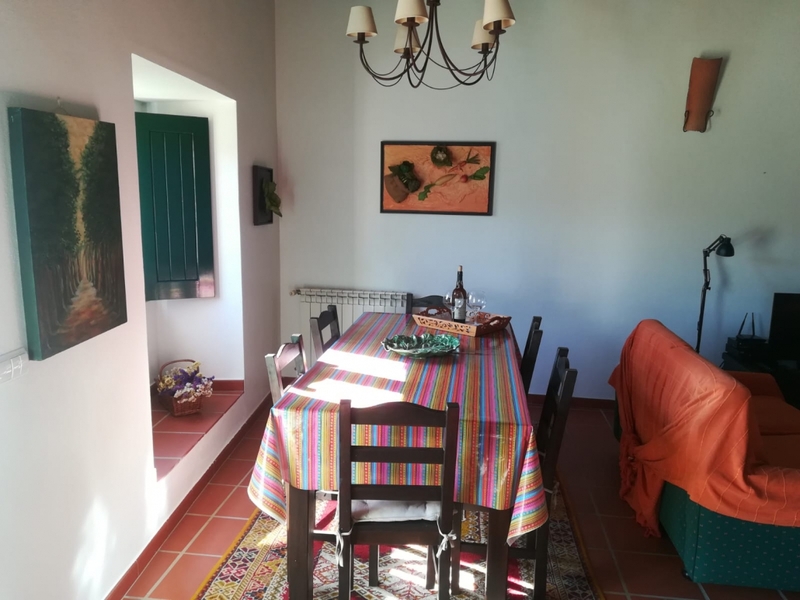 Casa da Aldeia has a spacious living room with an open kitchen, big hallway, master bedroom “en suite”, and a second bedroom, second bathroom and an atelier with sleeping sofa for two persons. The living room has a cozy sitting area and a large dining table. At the sitting area there is a fire place that can bring extra warmth and atmosphere in the early or late months in the season. The TV set has several international channels for your enjoyment. 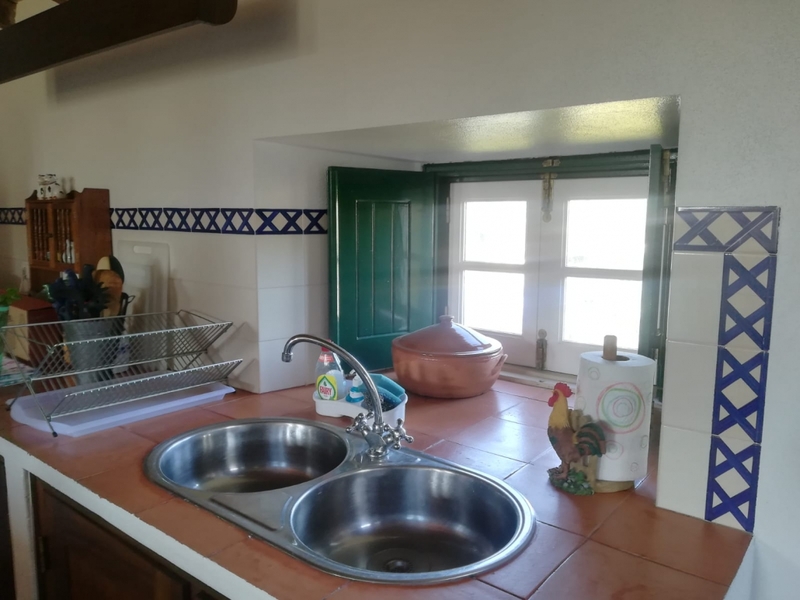 The open kitchen has a gas stove with 4 burners, oven, microwave oven, fridge with freezer compartment and all needed cutlery, crockery and kitchenware. From the hallway you can reach the master bedroom. 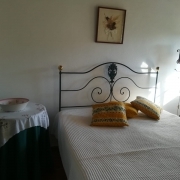 This attractive space has a double bed and a bathroom “en suite” with shower, toilet and sink. 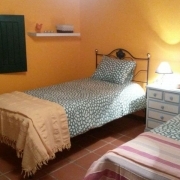 The separate second bedroom has two single beds that can easily be joined together when needed. This room can also have an added baby cot on request (baby-toddler package). The atelier has a sleeping sofa that can be unfolded to become a double bed. 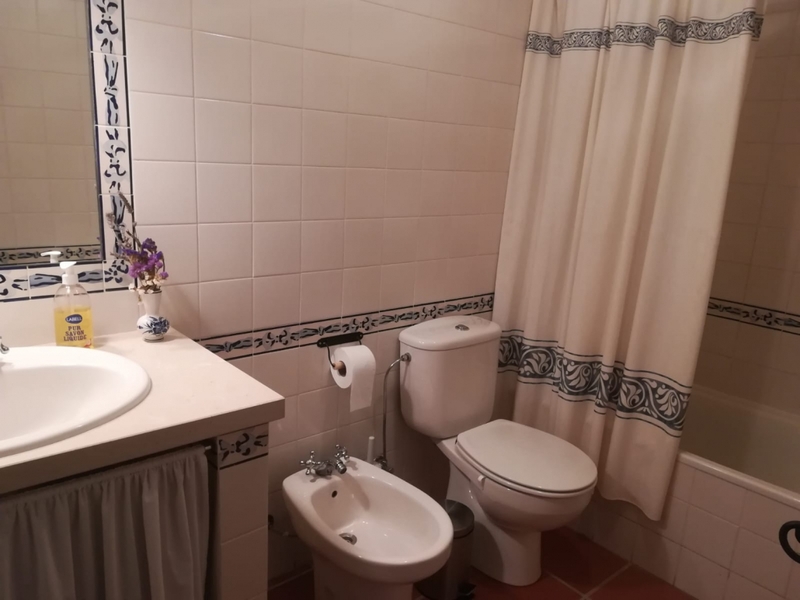 In the second bathroom you can enjoy a lovely bath. It has a toilet, bidet and sink too. 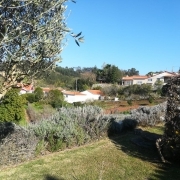 Casa da Aldeia has a free network for (slow) Wi-Fi. 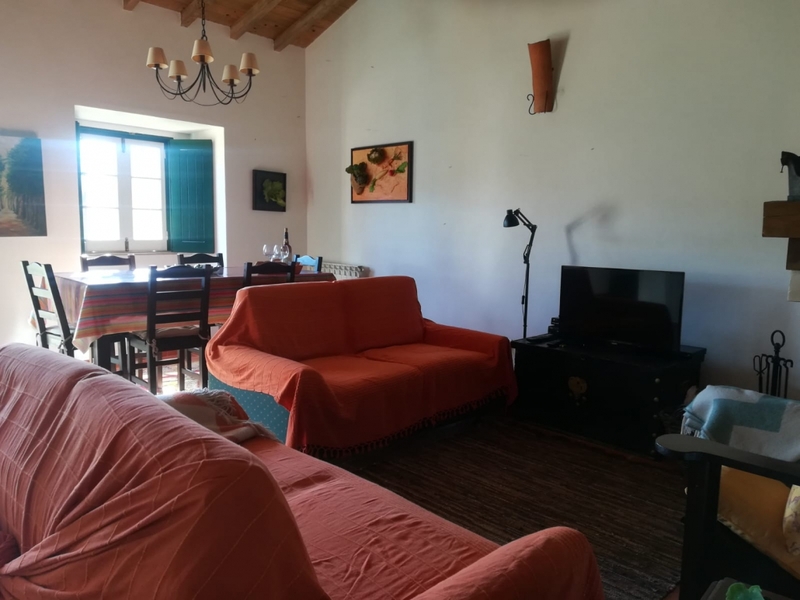 Of course you can also use the internet at Quinta Laranja. 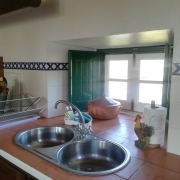 Besides the earlier mentioned fireplace (firewood can be purchased at Quinta Laranja or elsewhere) this house also has central heating. It functions on gasbottles but isn’t being used very frequently. Usage of the heater for this reason comes with extra charges. 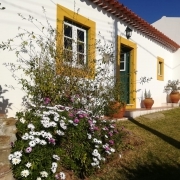 Casa da Aldeia is rented by Quinta Laranja from the befriended Portuguese Folgado family. 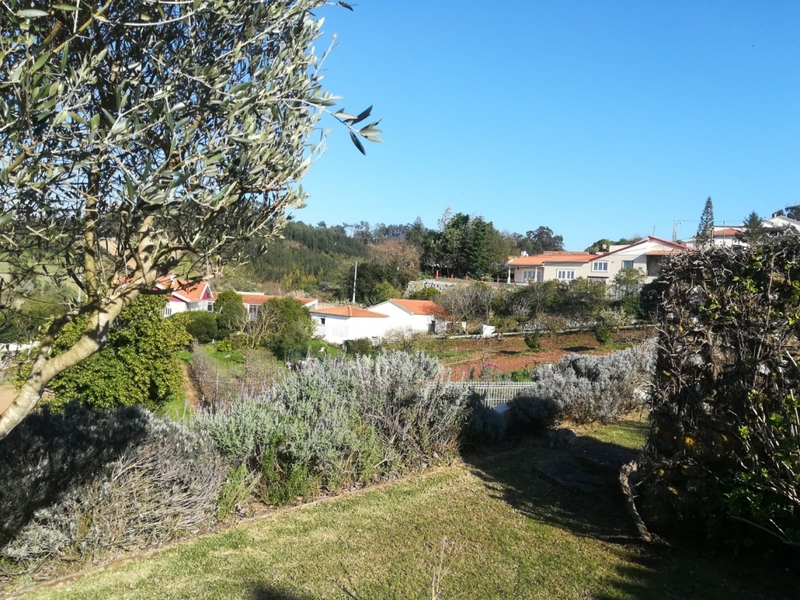 Paulo and his wife Ana reside in Lisbon but frequently travel to Almofala for some peace and quiet. Maybe you´ll bump into them; their English is excellent! 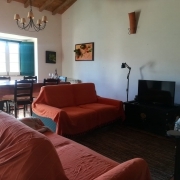 Although you might be slightly secluded from the rest of our collection of cottages, during your stay you will be considered a 100% guest of Quinta Laranja; all facilities, the swimming pool, information and activities that our other guests have access to will be equally accessible for the guests of this village cottage.